A summertime social gathering is being organised in Oxfordshire for Sunday, 27th July 2014, involving optional walks and a barbeque/braai. The event is being hosted by Steve and Tonia Bowley, whose Thembisa Trust backs community projects in KwaZulu-Natal. Alumni and supporters of the UKZN UK Trust are invited to attend what is expected to be a fun day and a rare chance to meet up. Option 1. DAY WALK – THE CHILTERNS (led by Steve Bowley). Please advise if you wish to join this walk. 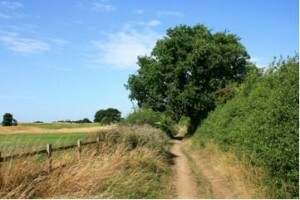 Circular walk near Wendover, including Chequers Estate and Boer War Memorial (10 miles max). Meet 10am at Tiddington Village Hall (A418 at OX9 2LY). Share transport to start. Lunch stop – The Plough at Cadsden OR bring packed lunch. Come prepared: Footpaths are slippery in wet weather so wear good footwear and bring a waterproof. Arrive back at Tiddington at 4pm for BBQ. Option 2. AFTERNOON LOCAL WALK (Families welcome). Meet at 3pm at Tiddington Village Hall (on A418 at OX9 2LY). Weather permitting, the route will be through Ferndale Woods – or else via the lake (2 miles). BBQ: Ferndale, Tiddington OX9 2LQ – 4.30-8.30pm. Tickets: £12/adult, £6/u10; food and soft drinks included; beer/wine for sale. Raffle; plant sale. The event will provide the opportunity for a little fund-raising for both charities as those taking part in the walks are being encouraged to obtain sponsorship from friends and family for the charity of their choice. •	Email friends and family to encourage them to use your page to sponsor you. All funds raised go straight to the UKZN UK Trust’s bank account. Alternatively you can donate directly to the Trust via the Virgin Money Giving site or you can give cash or a cheque to UKZN UK Trust Chair Roger Smith at the event.